Apple’s iPads are incredible, beautiful, and a joy to use. They aren’t cheap however, and the investment is worth protecting. 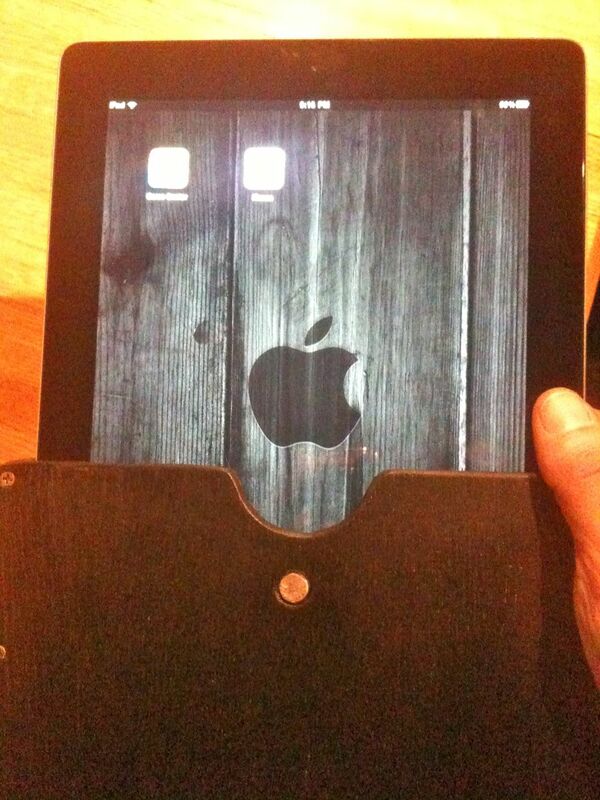 You definitely should have a smart cover or case to keep the iPad from getting scratched or cracked. 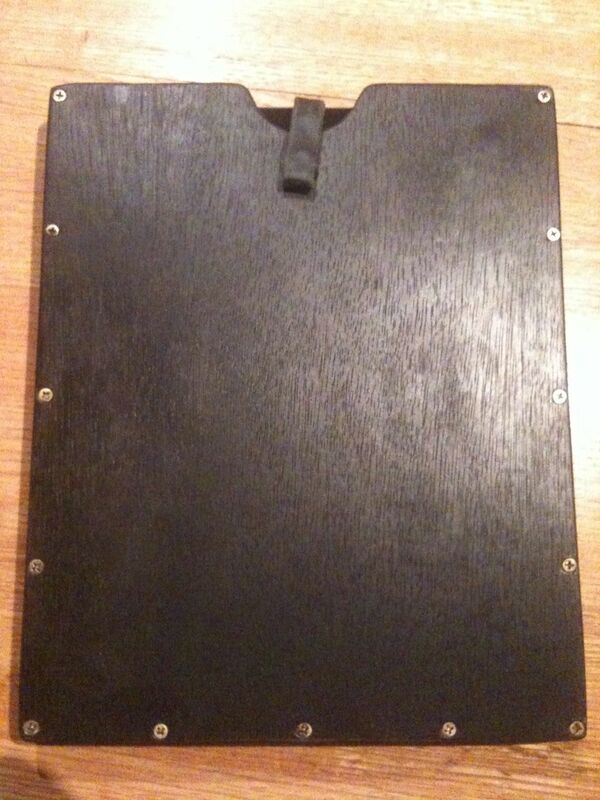 I decided to use some wood and a pair of old shorts to create a black distressed case to protect and tote it. I used a 3/8 inch thick piece of wood, an old pair of shorts with the fuzzy inside (like Wilson gym shorts or sweats), some 3/8 inch square wooden rods from a craft store, brass screws, a piece of leather from a luggage tag, a large gold brad, some strong round magnets, wood glue (gorilla glue), and black wood stain. Get a sheet of thin 3/8 inch wood from the hardware store. This large piece (enough to make about 4 cases) was under $5.00. Cut 2 pieces about an inch larger than the size of the iPad. Cut a small half-circle out of the top of both pieces. This is where you’ll grab the iPad to pull it out of the case. Cut up your shorts or sweats into 2 pieces the same size as the 2 pieces of wood. Be sure your iPad will fit snuggly between the square rods without sliding side to side. 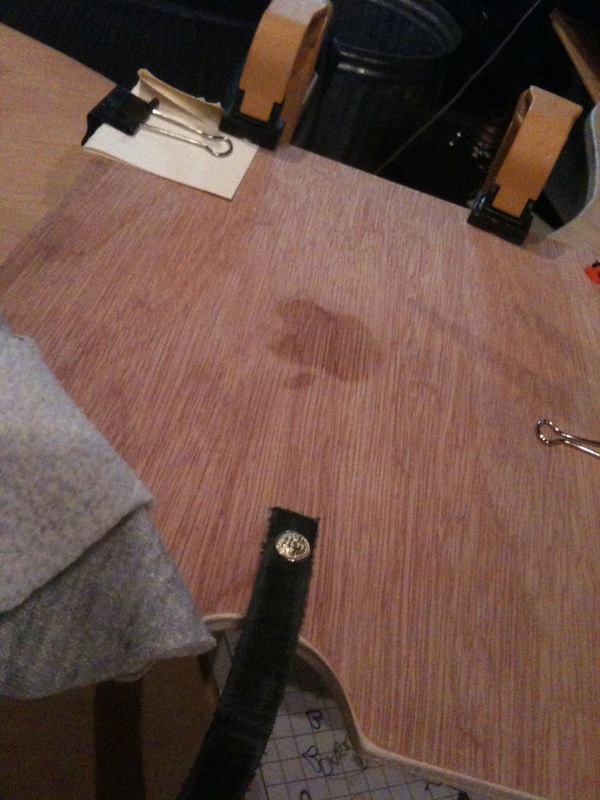 Using the wood glue, attach a piece of the shorts to the wood, and cut the square rods to fit 3 sides of the wood. Clamp down the 3 rods tightly and let them dry. 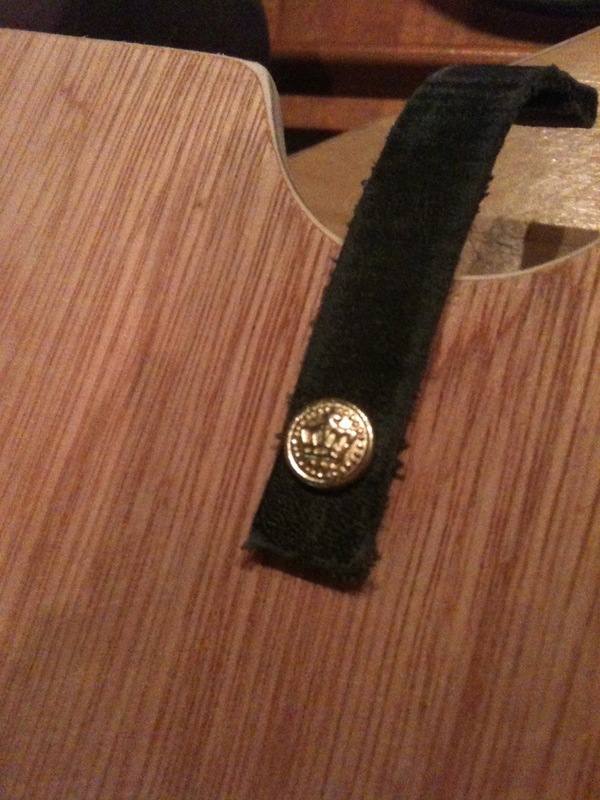 Build the other piece of wood the same way, but before glueing down the soft material, drill a hole and insert the gold brad through the leather and the wood. This will keep the leather strap in position without the risk of it popping off. 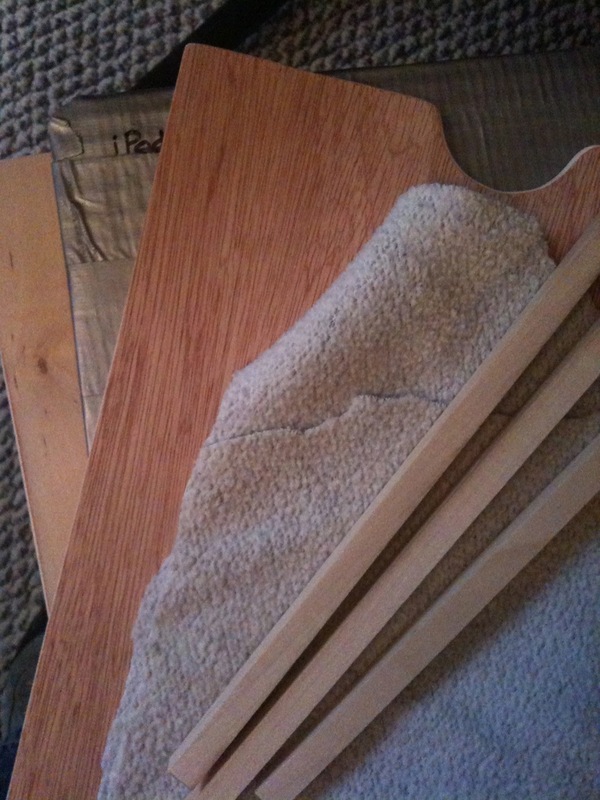 Once you bend the brad, glue the soft material over it, like the first piece. Position them together and make sure your iPad fits snuggly between them, encased in the soft material. You may need to add a small piece of wood on all 3 sides to get the proper spacing. 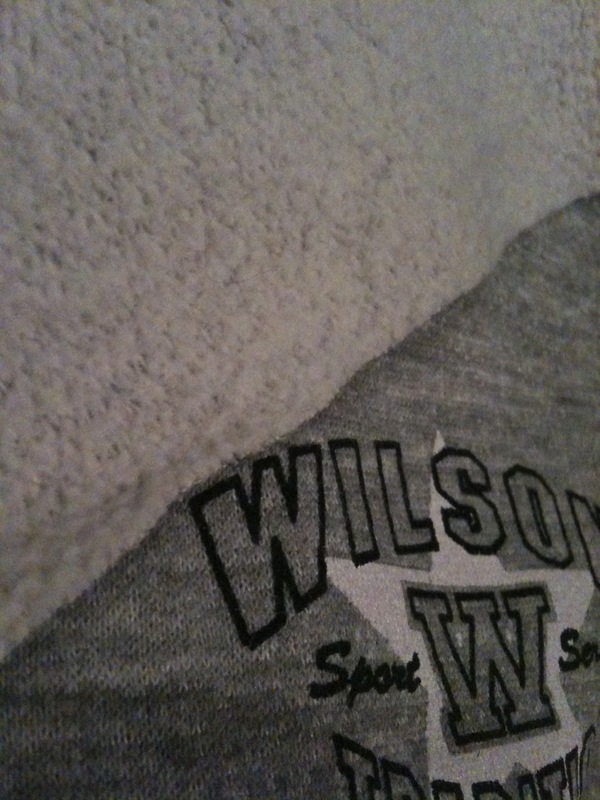 The iPad should slide in and fit snuggly but not too tightly. Cut the luggage tag to about 4 inches. 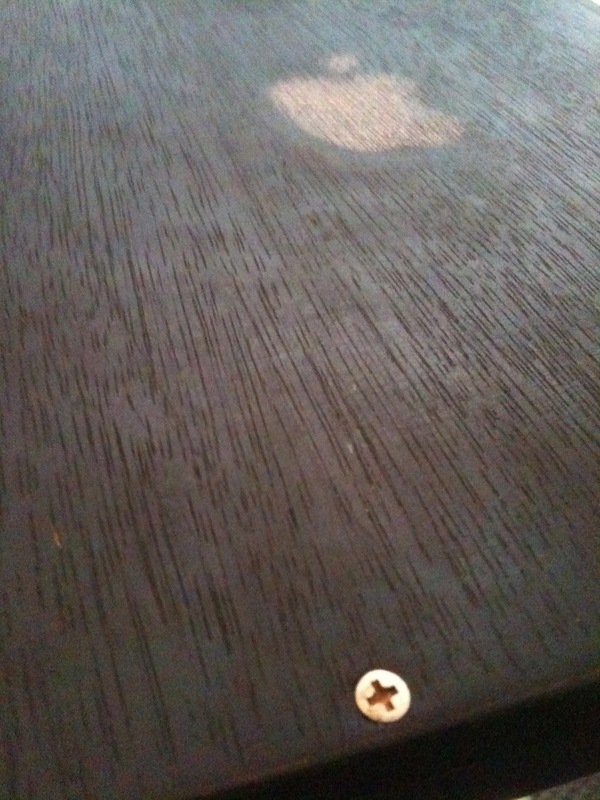 Take one of the small magnets and glue it on the other end of the leather. 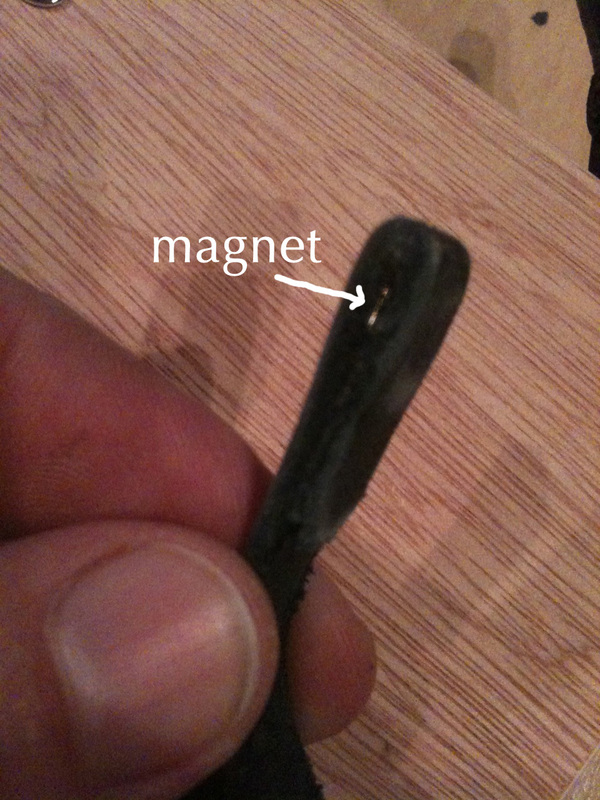 Fold the end over the magnet and glue it down tightly. The magnet should be covered by the leather on both sides. Put the 2 pieces of wood together and fold the leather piece over. Mark where the magnet touches the wood on the other side. 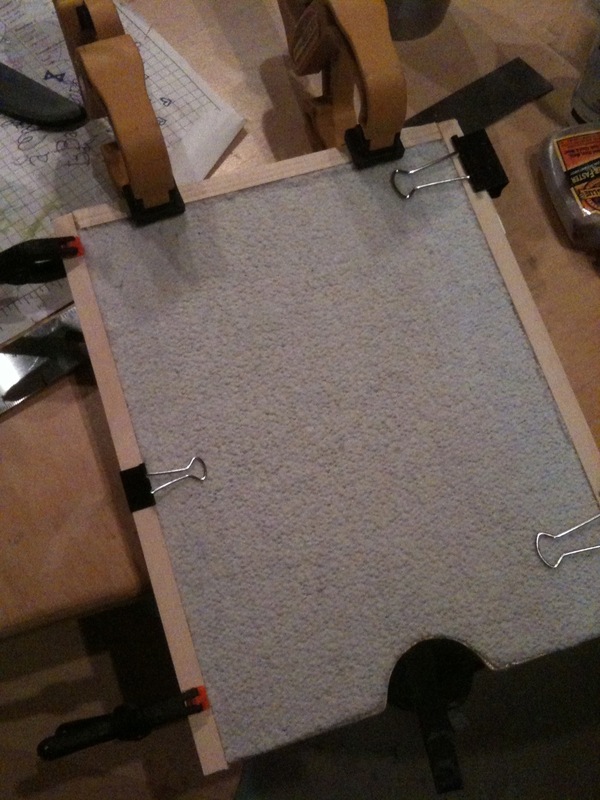 This is where you’ll need to glue another magnet so the leather piece can keep the iPad from slipping out of the case. 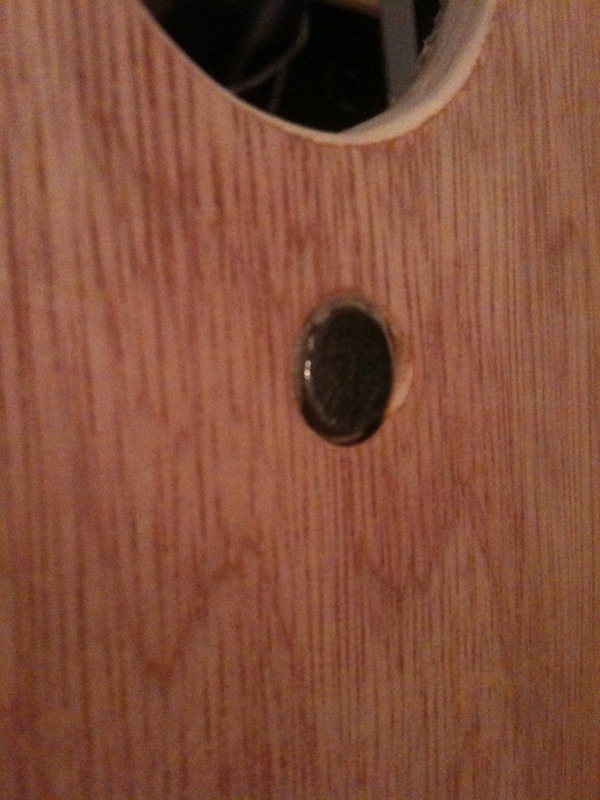 I used a dremel to drill a little into the wood so the magnet would rest flush. Once you are sure that the spacing is correct, glue the 2 pieces of wood together with the wood glue and clamp them down. 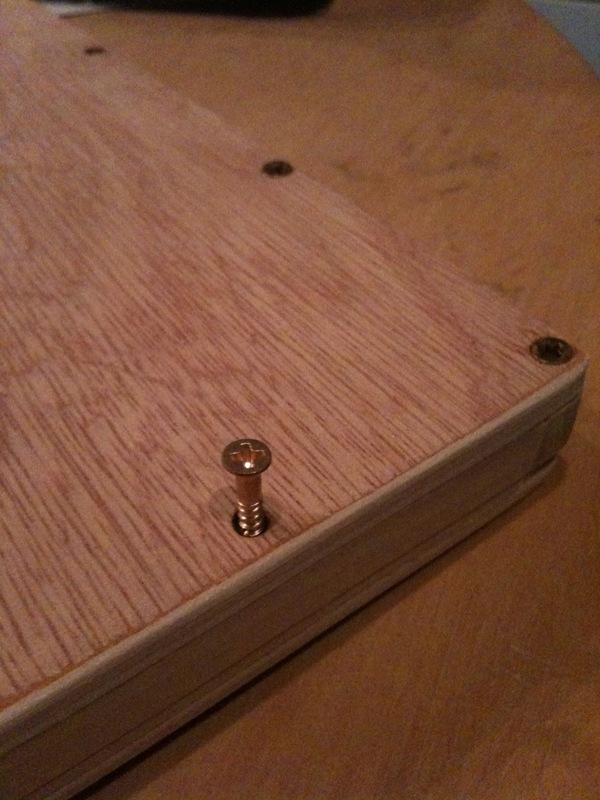 Once dry, add the small brass screws around the box on both sides. Sand all the edges so it is completely smooth all around the box. 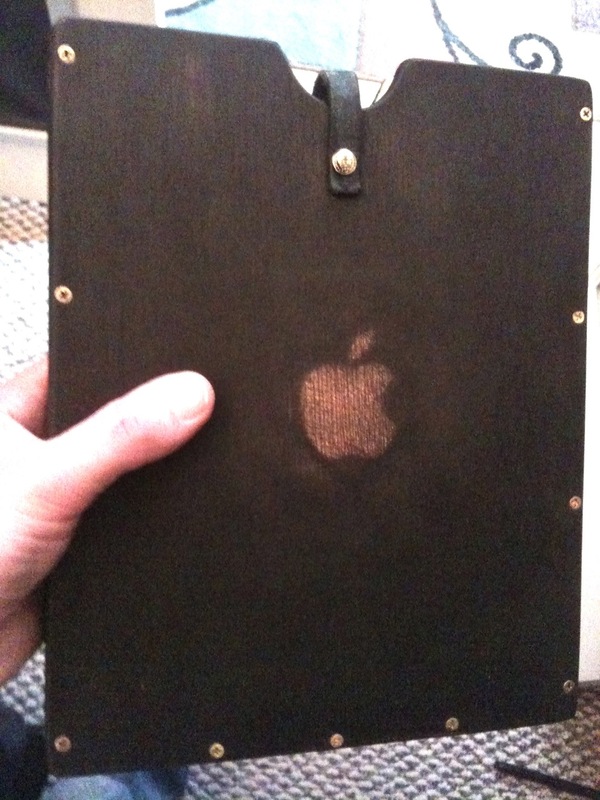 I had an old back cover from a titanium G4 powerbook laying around so I used it to spray the Apple logo onto one of the sides of the wood. 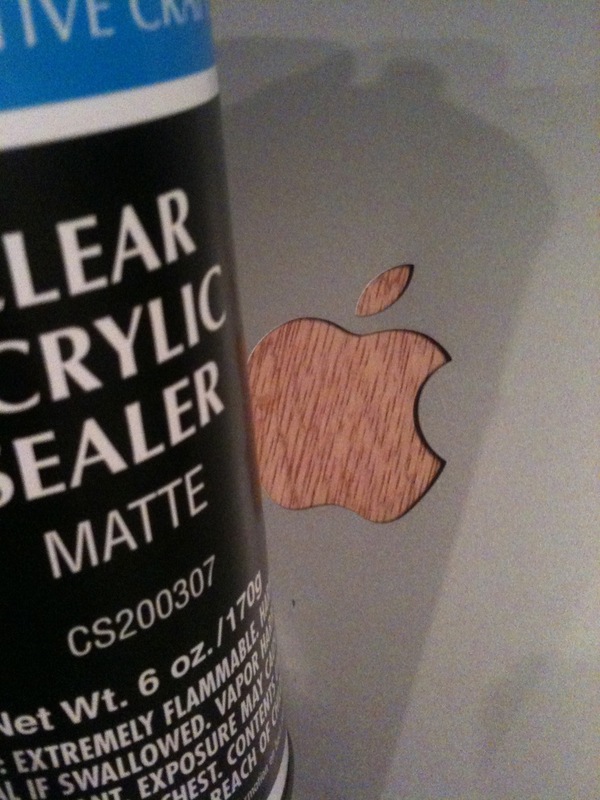 I sprayed it with a clear acrylic sealer from a craft store. This was to keep the wood under the logo from staining black and made it show through in a very cool and distressed looking way. Now it’s time to stain. 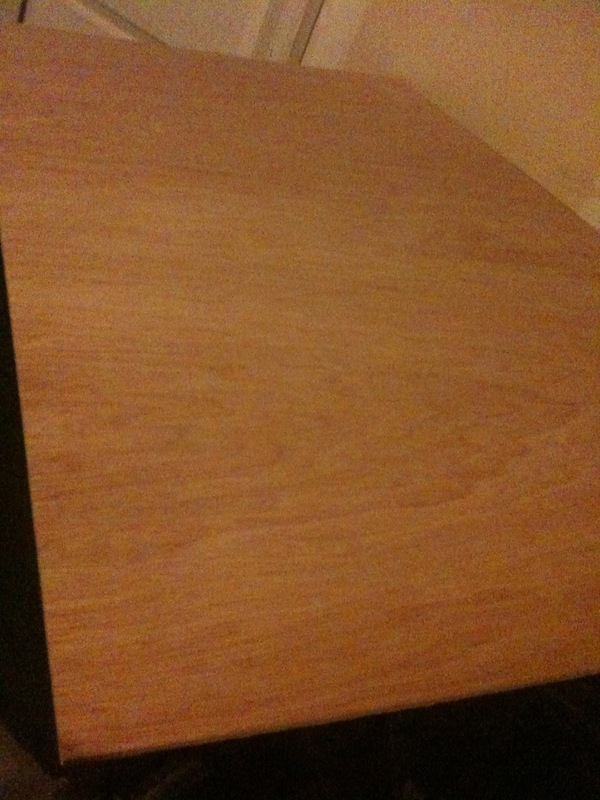 Using a black wood stain, rub all the visible wood being very careful around the opening where the iPad slips in. 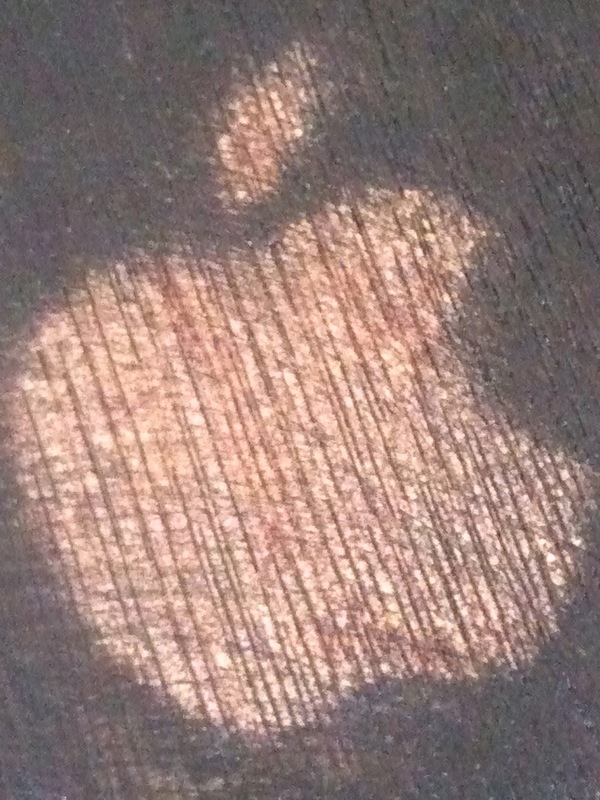 The Apple logo should resist the stain and show through. Once the stain is dry, I sprayed the whole box with the acrylic sealer to protect the wood and give it a nice matte finish. And that’s how you protect your $600 investment with about $20 worth of materials. Please let me know if you make your own, I’d love to see other DIY cases!